The Treasury (al-Khazneh) positioned opposite the main route into Petra. 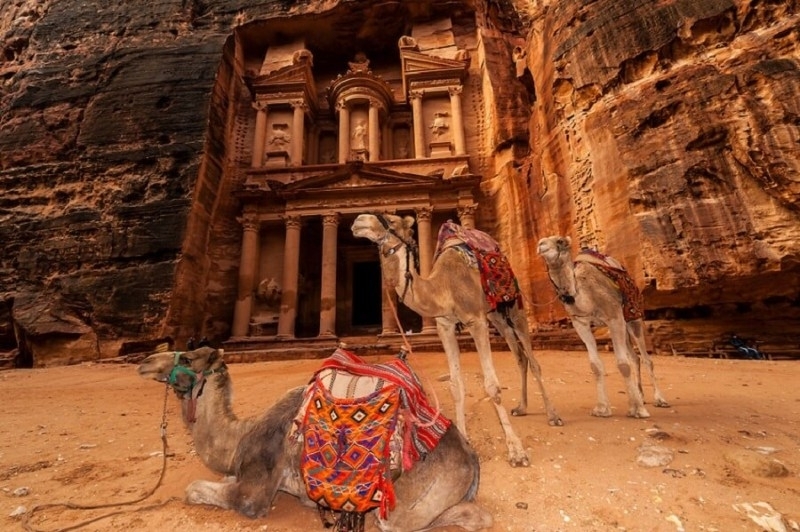 When you finish the long Siq, the Treasury is the first thing you see, and therefore the most famous pictures of the Petra are of the Treasury. It was given by the local Bedouin tribes behind the belief that the urn on top of the front entrance contained the treasure of a pharaoh. 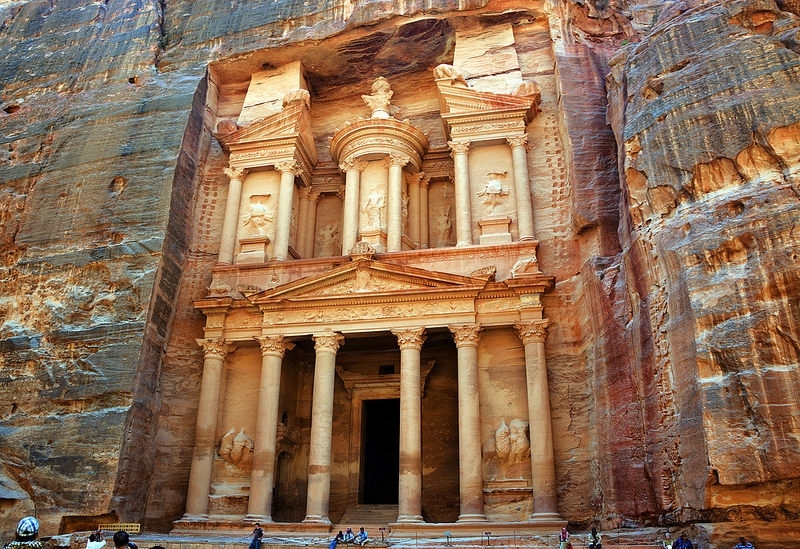 The treasury's surface is sculptured in the first century AD and decorated with mythological figures and deities Nabataean. Al Khazneh was originally built as a mausoleum and crypt for the Nabataean king Aretas III at the beginning of the 1st Century AD during the reign of Aretas IV Philopatris and subsequently as a place of worship. 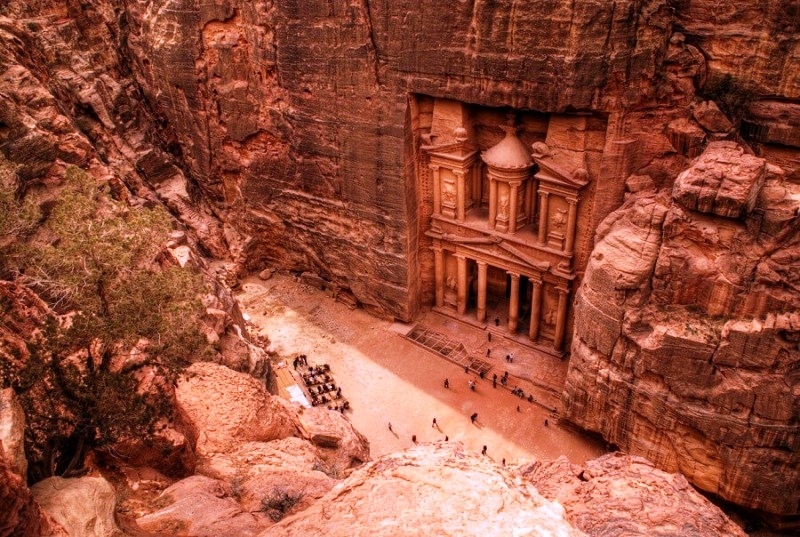 The facade of Petra is carved in a pink rock, ranging in colour from white to pink, yellow and tawny.